So you’ve booked your flight, compared hotels and have your stocks of sunscreen ready to go, but what are you going to wear on your upcoming holiday? We’ve all been there: The night before you’re set to jet off, you panic next to your suitcase because nothing really goes together quite as well as you’d imagined (not to mention last year’s vacay pieces have lost a little of their lustre). If that sounds like a scenario you’d rather avoid, fear not—we’re here to help. From chic beach cover-ups courtesy of Lucy Williams and Karoline Dall to jumpsuits that are perfect for sightseeing to wear-anywhere maxi dresses to Lisa Aikens’s favourite poolside co-ords, consider this your ultimate guide to holiday outfit ideas. We’ve also got the pieces you’ll need to make each look happen IRL, so you can get your whole holiday wardrobe sorted right here, right now. 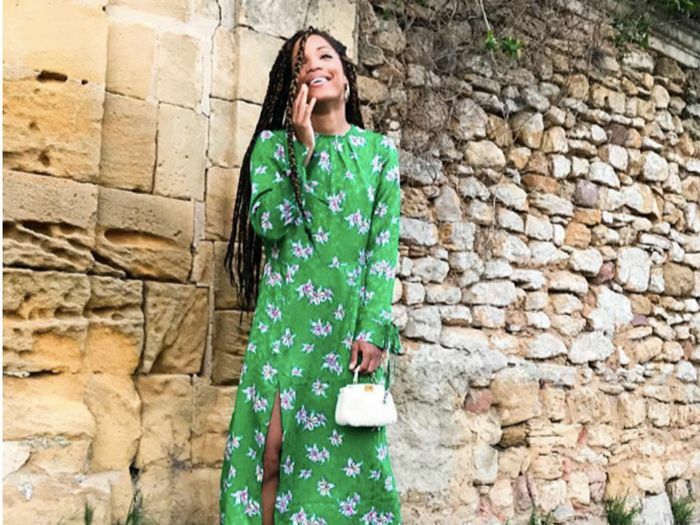 Keep scrolling to see what Instagram’s top influencers are wearing on holiday this summer, and then shop the outfits for yourself. Wherever you’re heading, we’ve got a dreamy vacay outfit for you. Yet another new way to wear a kimono: as a glam beach cover-up à la Karoline Dall. Leave it draped while you’re strolling along the sand, and then simply wrap it when you’re heading for ocean-view cocktails. Classic tortoiseshell frames are a savvy investment. Who doesn’t feel amazing in a red bikini? This elegant wrap dress makes for a versatile suitcase staple. Make like Lucy Williams and team chic linen trousers with a bikini on the beach, and then swap in a camisole or silk shirt come evening. This bandeau is perfect for layering—even if you’re not heading for a swim. We can see these working both on and off the beach. If your plans involve a day full of sightseeing followed by a spot of dinner, take a tip from Lesley and opt for a sleek jumpsuit teamed with bright red slides. Glam yet comfy. Easy to dress up or down. These will take you day to night. These will look great in the sunshine. Poolside separates just got a stylish makeover, courtesy of Lisa Aiken. Throwing a white linen beach shirt over your bikini makes for a sophisticated way to cover up, while a black denim miniskirt is always a classic. Great for beach days and evening outings. 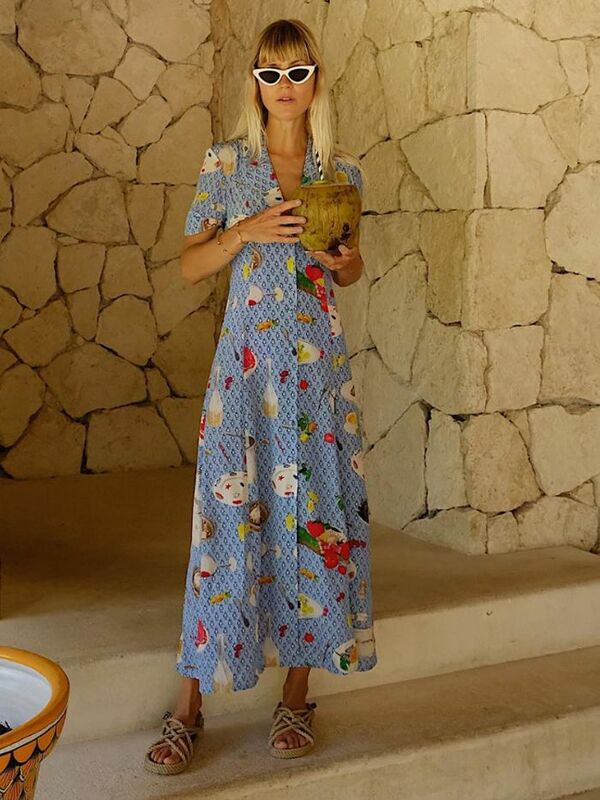 Whether you’re in Greece or Ghana, a satin slip dress is a must-have for drinks at sunset. If you’re not into the bold earrings, you can always keep your accessories simple—the plush finish of the dress will elevate the look all on its own. Touring the island? Jumping aboard a yacht? A statement swimsuit paired with denim shorts makes for the perfect day trip combo. Just add cool sunnies. These stripes are bringing us a lot of joy. You can’t go wrong with Grlfrnd’s Cindy shorts. Freddie Harrel knows that a statement maxi can take you anywhere. Dress yours up with luxe accessories if you’re heading out for a night on the town. This is what we call a statement maxi. Slip these on with any outfit. This super-sleek bag looks far pricier than it is. For more shopping inspiration, join our Facebook group, So… Should I Buy This?